I do so love vintage suitcases! 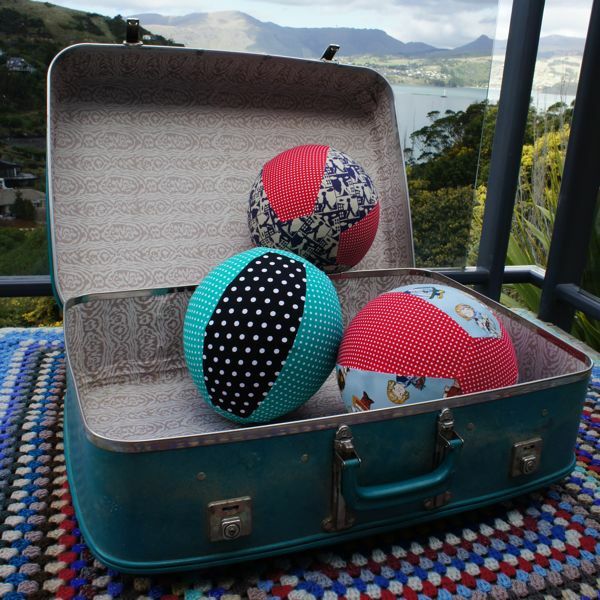 Theres a wee stack of Balloon Balls sitting next to my sewing machine for next weeks spring market. The day is so beautiful I just had to take a quick pic outside of some of them! Sometimes I wonder why I gave up such beautiful backdrops?